U.S. 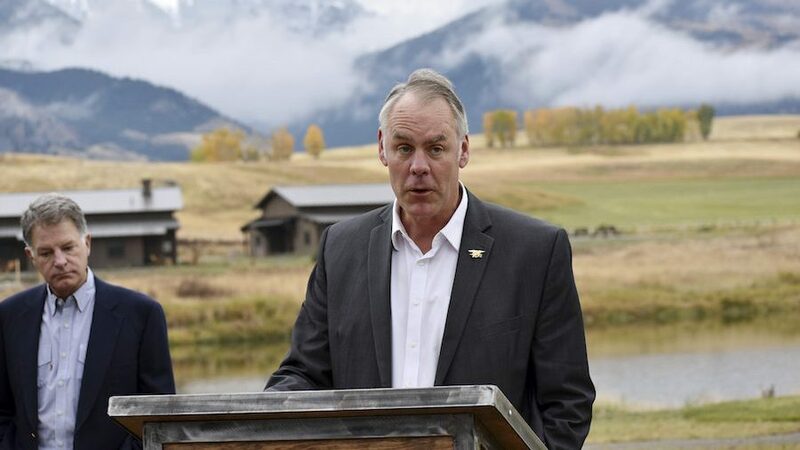 Interior Secretary Ryan Zinke announces a ban on new mining claims in the mountains north of Yellowstone National Park on Monday, Oct. 8, 2018, in Emigrant, Mont. The move extends a 2-year ban enacted under former President Barack Obama for another 20 years.